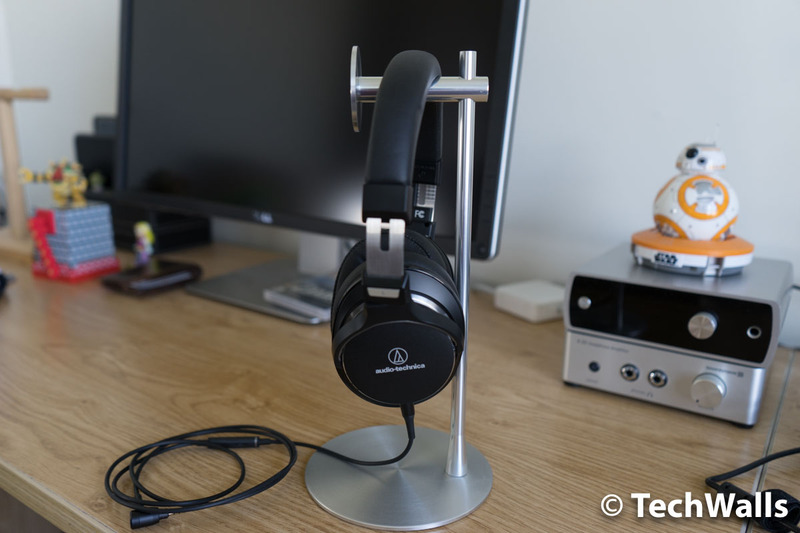 The HeadStand Avant HS200 is my second headphone stand from Just Mobile and it’s overcome all limitations of the previous one. I’ve used the headstand for over a month and it has become my favorite one so far. Keep reading this post for more details. The HeadStand Avant comes in 4 pieces and it is very easy to put them together. I just need to use the screwdriver to attach the base to the pole, other parts can be assembled by hands. As compared to the original Just Mobile’s HS100 headstand, the Avant has a sleeker look with a glossy finish on a solid aluminum body. The product comes in 2 color options which are silver and black. Mine is the silver one and it is a lot more attractive. I love the original version but it has a huge limitation; it is just not high enough to hang oversized headphones. The HeadStand Avant has fixed the issue since it is higher and provides more clearance. 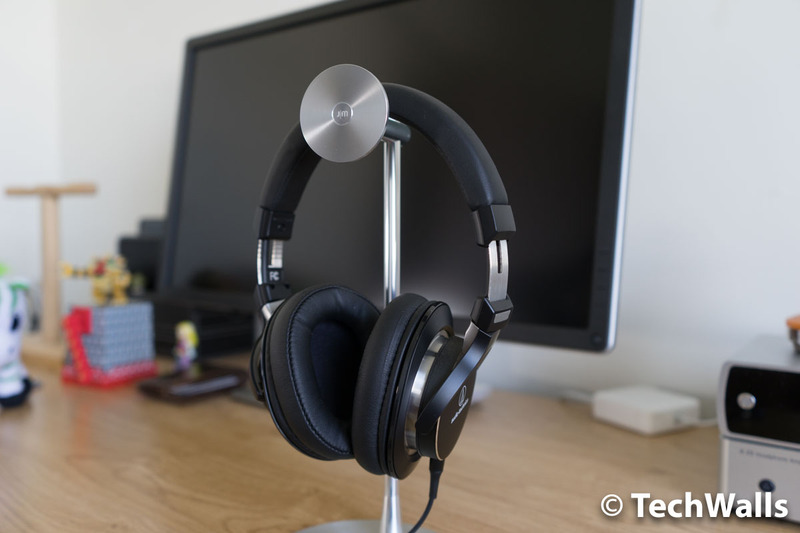 Specifically, it supports headphones with a maximum height of 9.8″ (25cm). 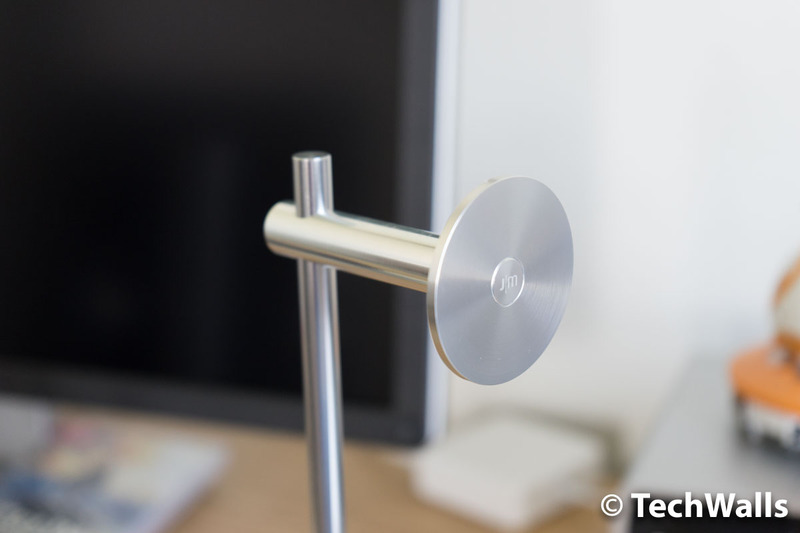 The Avant has a very solid build and the base can stand sturdily on my desktop. 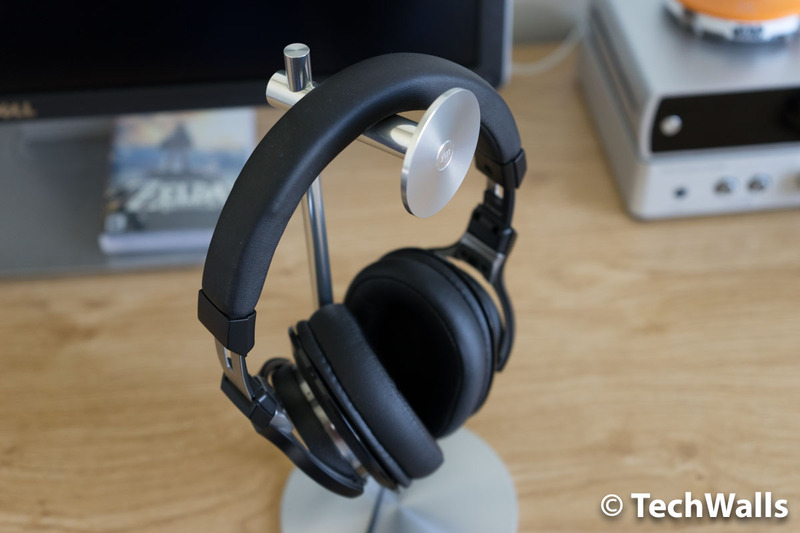 So, this is really an elegant way to show off your headphones and keep your workstation tidy. 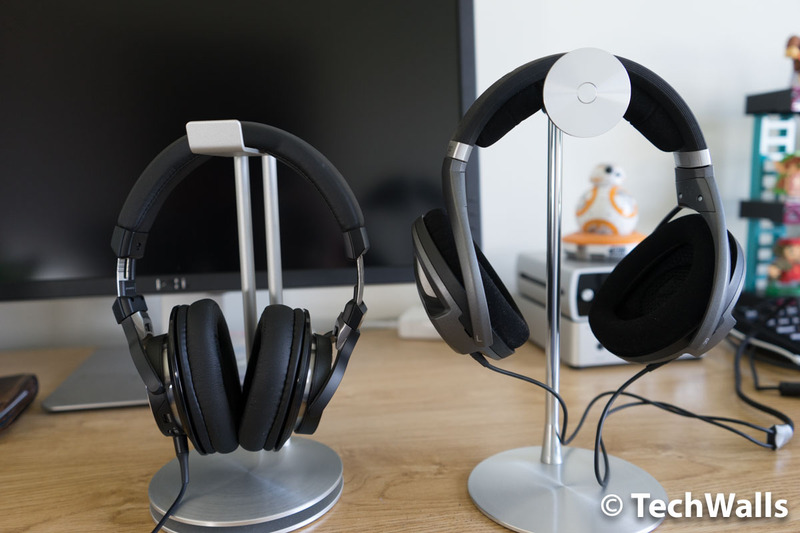 As the HeadStand Avant has almost the same price as the original version, I highly recommend the product if you want to use it with your full-sized headphones.